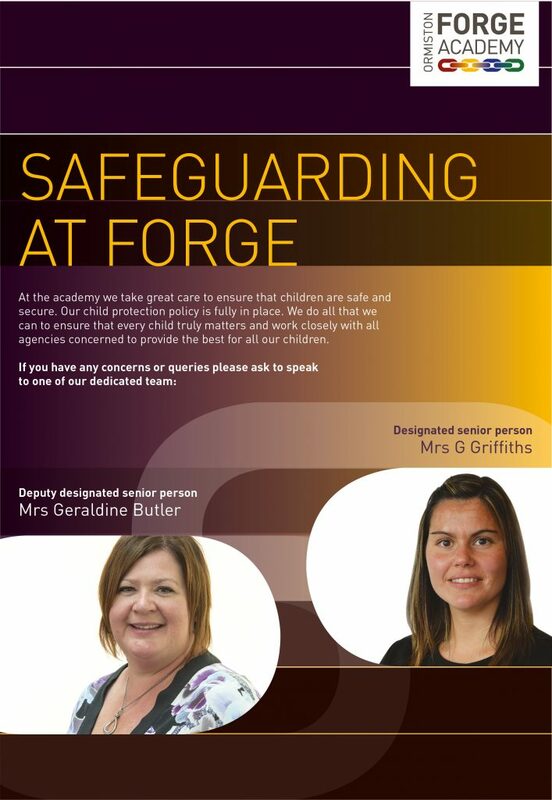 At Ormiston Forge Academy we recognise the importance of safeguarding all students and staff. We pride ourselves on ensuring that all students are able to learn in an environment which is both safe and supportive, whilst recognising the individual needs of all our students. In order to support the safeguarding work that is undertaken here at the academy, we have a dedicated safeguarding team who are available should you or your child have concerns about any safeguarding issues. This section of the Forge website will support parents and students in staying safe at the Academy and beyond.